The City of Randleman has undergone a few name changes throughout the years. The founding of Dicks Grist Mill in 1800 gave birth to what was originally called Dicks, named for Rick Dicks who owned the mill and who is said to have laid the cornerstone for the city. Later it was named Union Factory; and finally, it was renamed Randleman after John B. Randleman, a mill owner. Randleman is also known as the site of Randolph County’s most famous murder, that of Naomi Wise. The haunting folk ballad, “Omie Wise,” has kept the story of her murder alive for more than 200 years. Legend has it that Naomi, a poor but beautiful orphan girl, was courted by Jonathan Lewis, the son of a wealthy farmer. To avoid scandal after Naomi became pregnant with Lewis’ child, he drowned Naomi in Deep River. While the story lives on in song and legend, in fact, no one really knows who killed Naomi. 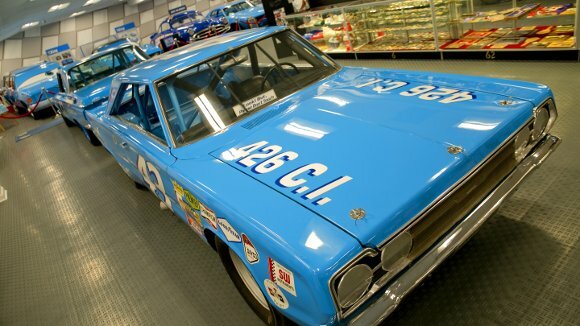 Today Randleman is best known as the home of Richard Petty, aka, “The King of NASCAR,” and other members of the Petty Family, including Richard’s brother, Maurice; and Dale Inman, all of whom are NASCAR Hall of Fame inductees. Petty Family Attractions is the most well-known site in the area. It includes the Petty Museum, Petty’s Garage, and Historic Toomes-Petty House. 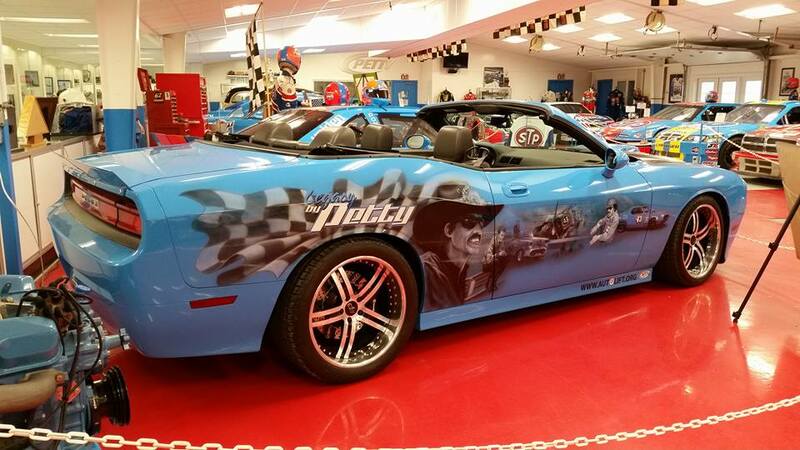 The Petty Museum is dedicated to preserving the Petty family’s NASCAR legacy. 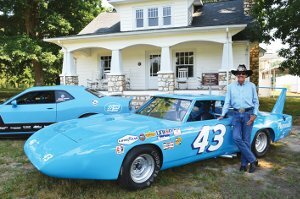 There are cars, NASCAR memorabilia, family history, trophies, a kid’s “pit stop,” and a huge collection of Petty Family collectibles including guns, belt buckles, and Lynda Petty’s doll collection. Next door at Petty’s Garage, people come from all over the United States and beyond to get their cars raised, lowered, and tricked out! They have vintage cars and new cars alike, so it’s fun for anyone who is an automobile enthusiast. The Toomes-Petty House is the birthplace of brothers, Richard and Maurice Petty. Built in 1924 by Robert Vernon Toomes, the home includes stunning history and family secrets of the early days of this legendary racing family. Randleman is also the proud home of Victory Junction, a camp for chronically ill children. Built on land donated by Richard and Lynda Petty, the camp has raised millions of dollars to help kids attend from all over the U.S. and beyond. To date, they have hosted more than 25,000 youngsters. 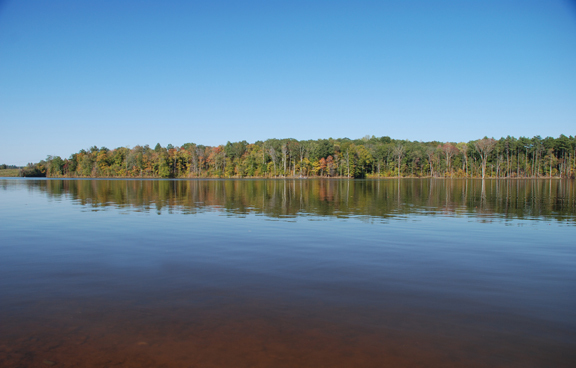 The largest natural attraction in the area is Randleman Lake with approximately 100 miles of beautiful shoreline to fish from. The lake is a reservoir on the Deep River, and is surrounded by a natural buffer of nearly 3,000 acres with a lake surface greater than 3,000 acres! Recreational activities include boating, fishing, sailing, and paddle boating. Also notable is Randleman’s Commerce Square Park. Located in the center of downtown, it features passive recreation, water elements, a bandstand, farmers market, and beautiful mural by hometown photo-realist artist, Susan Harrell, that features the Deep River. Randleman is served by three major airports, each within an hour’s drive - the closest of which is Piedmont Triad International in Greensboro; and five Asheboro and six Archdale area hotels including Choice, IHG, Hilton, and Marriott rewards properties.